Last update: May 13, 2012. Beautiful finish for Preserved Lemon Chicken, but can likely be used with other exotic servings. I will test and keep you posted ((:-)).. I had problems with finding fresh chervil when I wanted it, so I replaced with with a mix of equal measures of fresh flat italian parsley and terragon from my herb plot in the backyard. Worked very well. 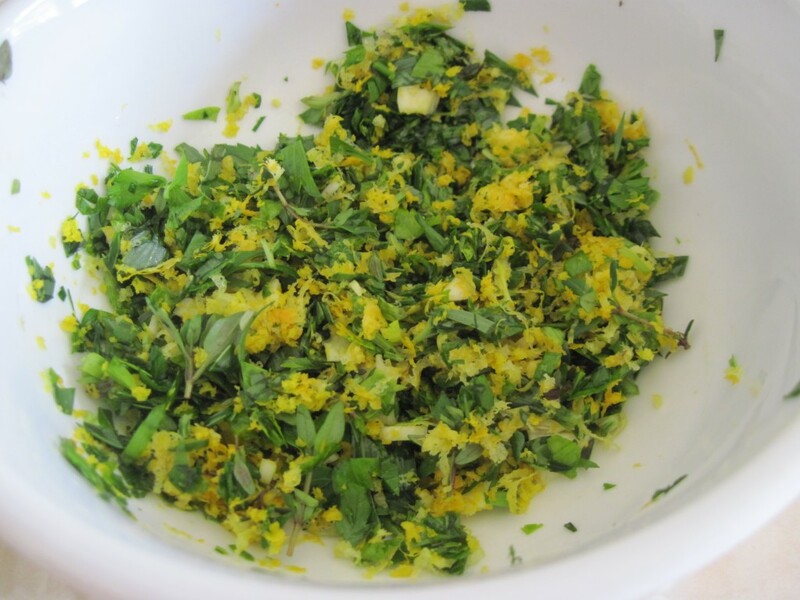 Mix together all the ingredients in a small bowl, then sprinkle on top of the hot Preserved Lemon Citrus Chicken. This entry was posted in Miscellaneous stuff / Pozostałe Rozmaitości and tagged gremolata. Bookmark the permalink.